Whenever you have sweet tooth, cake is always the answer. Front Porch Cakes and Eatery is a local bakery in Chesterfield County, in Bon Air, that serves some of the best pound cakes available. They also have to-go box lunches available! 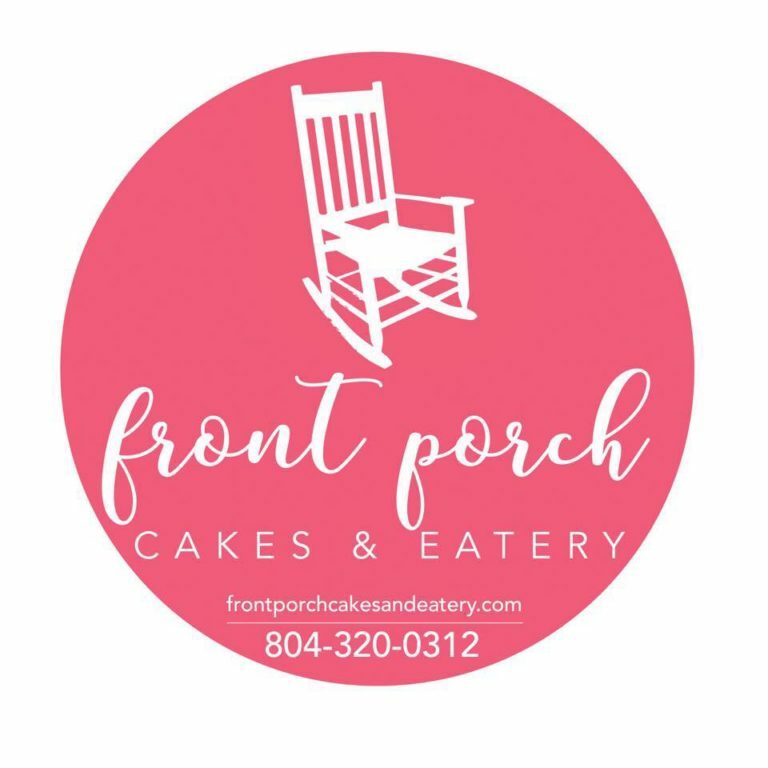 Found in Chesterfield County, on the border of Midlothian and Bon Air, Front Porch Cakes and Eatery is a quaint cafe where the cakes are divine and the service is impeccable. Owner, ​Beth Christiano, claims to have the best pound cake recipe in the city. With reviews on Facebook a 5 out of 5 and Google a 4.5 out of 5, who is contesting? Starting out from her basement, the local Eatery has grown from a small in-house shop to a town favorite bakery in Chesterfield County. Front Porch Cakes and Eatery opened in September 2017. Since then, it has brought a new style to town by providing many different flavors of simple and palate pleasing pound cakes. To-Go, To-Order, and Custom – They do it all! In addition to popping in for a cake on the fly, the bakery also provides gourmet pound cakes that are perfect to order for special events. Birthdays, weddings, and even gender reveal parties can all find some special treats at Front Porch Cakes and Eatery. 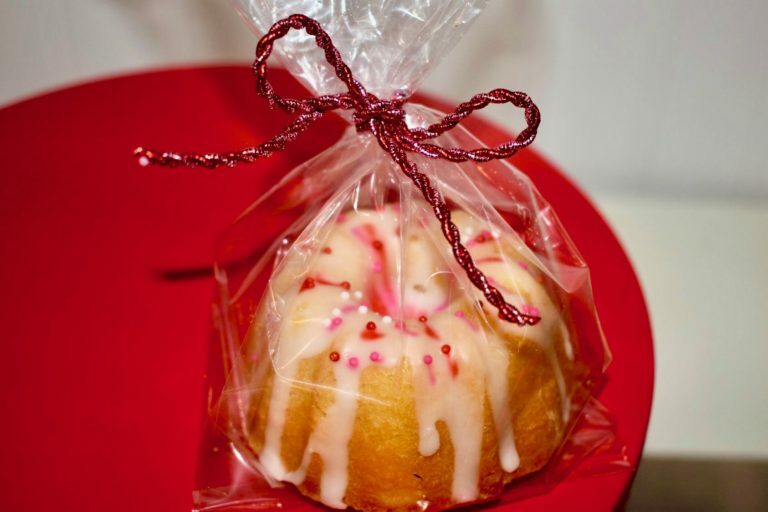 All gourmet pound cakes come in over twenty different flavors including seasonal options. All pound cakes are available in 5″ or 10″ sizes. In addition, Almond, Chocolate and Lemon cakes are available by the slice. All special cakes are requested in advance at least 7 days for it to be perfectly crafted to your needs. If your sweet tooth doesn’t need a fix, stop by and try their savory foods! 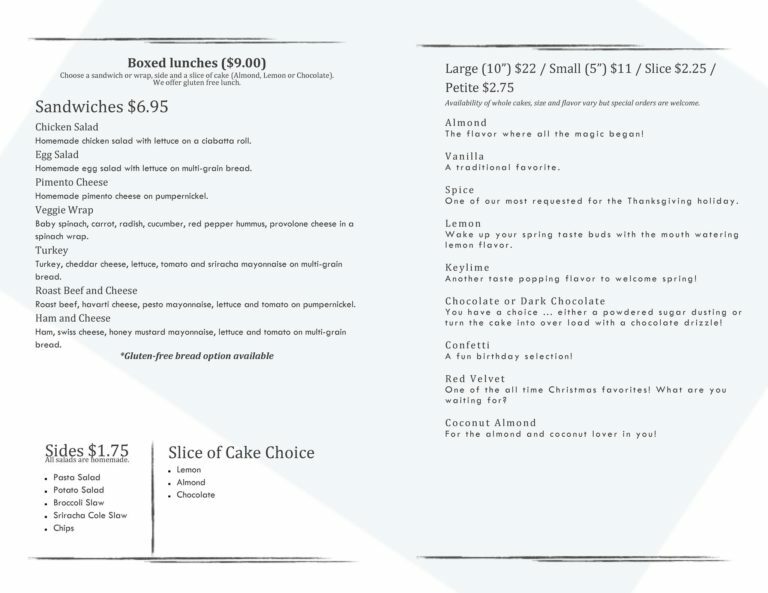 The eatery serves boxed lunches for $9. These come with a sandwich or wra​p, a choice of side, and a slice of cake (Almond, Lemon or Chocolate). Gluten free? NO PROBLEM! Front Porch Cakes and Eatery has gluten free bread. All sandwiches and sides are made to order, with choices like homemade chicken salad or pimento cheese. Check out the soup of day and the different cake flavors available on their website or facebook page! 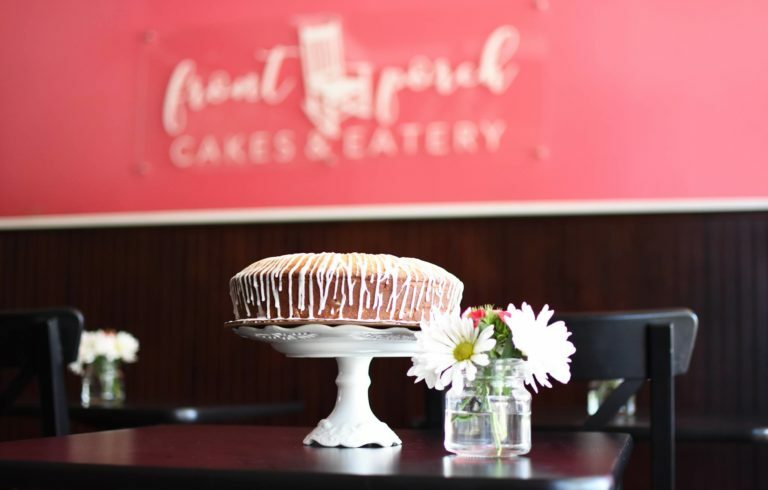 To wrap it up sweetly, pun intended, Front Porch Cakes and Eatery is a “gourmet pound cake and box lunch stop that mixes together the right combination of sweetness and creativity,” according to Owner, Beth. Other than meticulously designed and crafted cakes and food, the service is friendly and very welcoming. Beth and her staff greet all customers with open arms and friendly smiles!